Must be fully-enrolled with Clonlara for two full high school semesters before eligibility to graduate will be granted. Must earn a minimum of 5.5 credits from Clonlara School to be eligible for graduation. Transfer credits do not count toward this minimum. Students may earn more than the required 22 credits to graduate. Must adhere to all deadlines for submission of materials, payments, etc., regardless of their enrollment date. Note: Clonlara reserves the right to request further explanation and/or documentation of student achievement other than our standard requirements outlined. Must re-enroll by January 15th of the school year to be eligible for a June graduation. Clonlara School will determine whether the re-enrolling student has met Clonlara School’s Senior requirements and completed all steps of the graduation process. Students will be notified of graduation status after the documentation, request for credits, and graduation materials (graduation application and fee, exit exam, community service log, reading list, and grad portfolio) have been reviewed. Should speak with a Clonlara Enrollment Associate prior to registering. Must pay the New Senior Tuition Rate. Must enroll by September 30th of the school year to be eligible for a June graduation. Students who want credit granted for work done through previous homeschooling experiences prior to enrolling with Clonlara, and who were not enrolled in another accredited or incorporated school, must have a Credit Review conducted for each year’s worth of credit requested. The Credit Reviews require an additional fee that is not included in the regular tuition. Please contact an Enrollment Associate for more information. 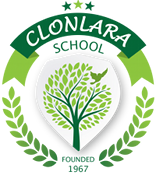 Clonlara School will determine whether the student has met Clonlara School’s Senior requirements and completed all steps of the graduation process. New seniors who paid the higher tuition rate but do not meet the requirements for graduation in that school year will receive a tuition credit equal to the difference between the rate they were charged and the past year’s regular tuition rate. This amount will be available for use as the tuition for the following year. No refunds will be given.